Truffle and Brulee were pretty healthy cats the first four years of their life. 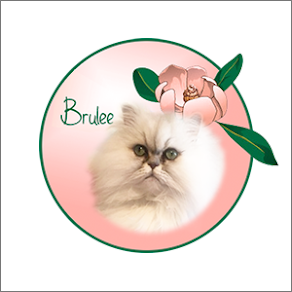 Beginning in 2015, Brulee was rushed to both Cherokee Trail Veterinary Hospital and the South Carolina Veterinary Specialist and Emergency Care with respiratory issues several times and it's occurred 1-2 times a year since then. Persians tend to have respiratory issues because of their brachycephalic faces and small nostrils. 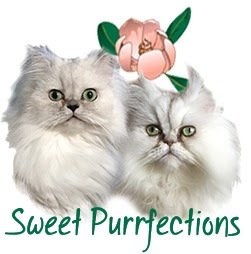 Brulee and Truffle are both considered "doll-faced" Persians and not "extreme-faced" but Brulee has much smaller nostrils and a flatter face. After Brulee's respiratory issues, Truffle began having some problems with her eyes. The vets think it could be either the herpes virus or allergies. Brulee also tends to sneeze throughout the year, but she's not sick! Mom Paula went through allergy tests last year where she was pricked with needles all over her arms. She discovered she was allergic to some environmental things such as grass, weeds, and dust. The testing process she went through was a couple of hours, was uncomfortable, and caused some allergic reactions. According to VetStreet.com, there are two common types of allergy tests used for pets: intradermal skin testing (allergens injected under skin) and serum allergy testing (blood sample). The Animal Allergy & Dermatology Clinic (AADC) in Gaithersburg, MD states the best way to determine actual allergies is through intradermal skin testing. This type of testing would require sedation for cats which is always scary and the expense may be discourage pet owners from having the test done. or intolerance to food or the environment. 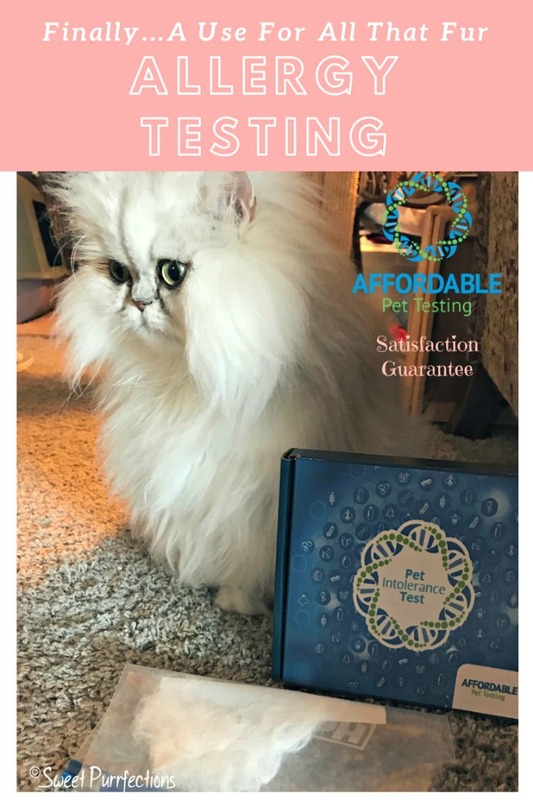 Affordable Pet Testing recently introduced the Pet Tolerance Test which uses your cat's fur to test for an intolerance to over 300 items in the environment and types of food. 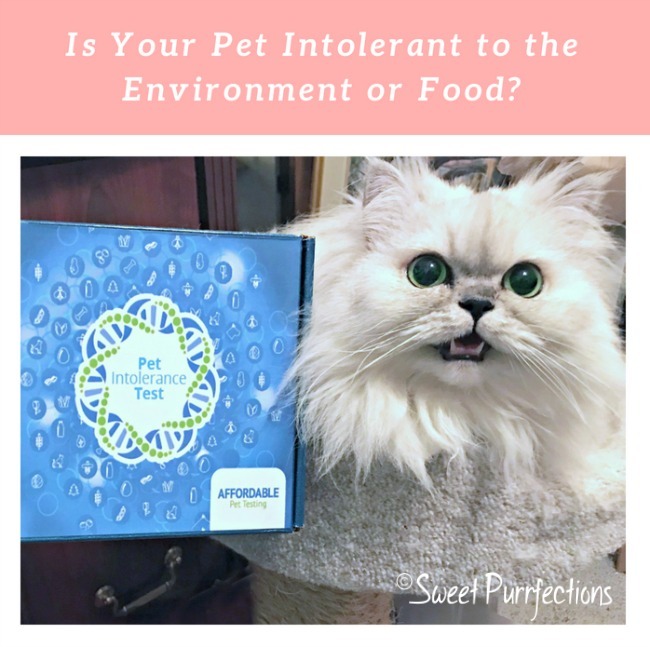 This test offers a simple and affordable way to test pets for potential intolerances which can help pet owners reduce their pets' exposure to the identified items and as a result, can make their pets more comfortable. According to the representatives from Affordable Pet Testing, using fur or hair samples is more stable than the traditional blood test. Hair stores more information for a longer period of time and is not affected by food, stress or medications which can affect blood tests. Additionally, using hair for testing for intolerance can be applied to 300 different items whereas blood testing is limited to a small range of items. Your cats will appreciate the less invasive method of testing! The Pet Tolerance Test only tests for non-IgE mediated reactions or "intolerances." This type of reaction usually has a delayed onset with symptoms appearing several hours or days after ingestion or exposure and tends to last a longer period of time. The IgE (Immunoglobulin E) allergies, which are caused by the body's immune system, are NOT measured through the 5 Strands® Affordable Pet Testing. These reactions usually occur within minutes of ingestion or exposure and must be diagnosed through a blood test or skin prick test which is performed by veterinarians. The Affordable Pet Test allows an owner to make dietary and environmental lifestyle changes to help improve their quality of life. Mom Paula was able to collect fur from Brulee and from her parents' dog, Bandit, to test for intolerances. Brulee has the respiratory issues and Bandit has terrible skin issues. Testing is very simple. All you need to do is collect 10-15 strands of hair or fur. Collecting the fur was easy! She combed through the fur one time and collected enough fur for a sample to send in. Once the fur is collected, you place it in the envelopes provided along with the completed test submission form. 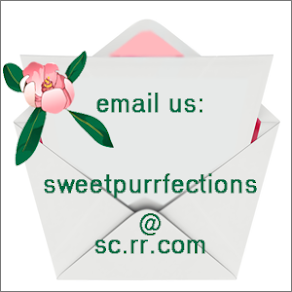 The results are sent to you through an email within seven to ten days. We received the results within a week for both Brulee and Bandit. The email included three attachments: food reactions, environmental reactions, and how to interpret the results. For the food/ environmental items test, each item has level 1, 2, or 3. (Just like a stoplight). Remember intolerance reactions are not immediate and can take 24 to 48 hours. 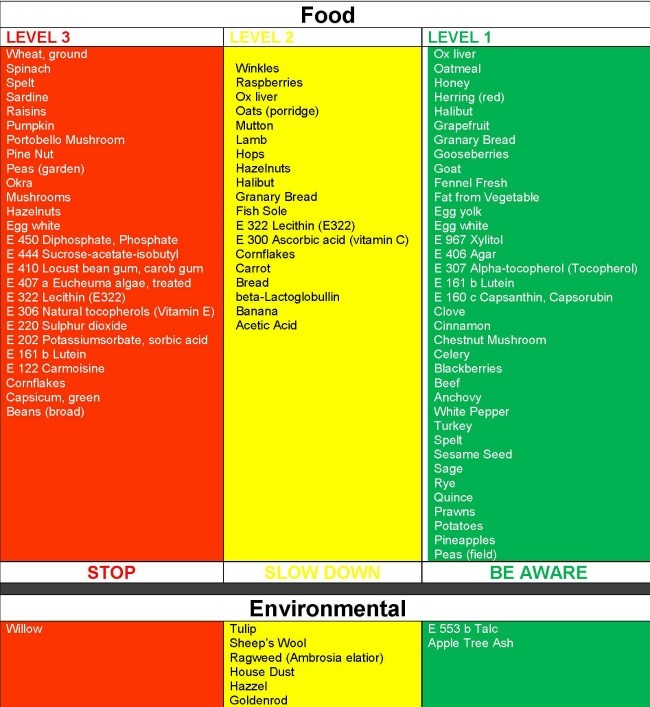 If the same food/ environmental item shows up on multiple levels it is very significant and most important. These are the items you should consider eliminating as soon as possible. One thing we want to stress is that many of the food items listed should NEVER be fed to dogs or cats! Disclaimer - This test should be a beginning for pet parents to determine what elements may be causing their pet distress. 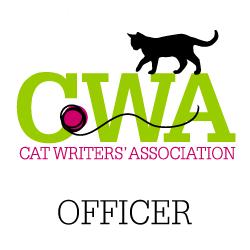 We strongly urge anyone to see her veterinarian as a follow-up to determine next steps for your feline or canine. As we stated earlier, Brulee's biggest problem is respiratory. She does sneeze in the house, especially in the home office. Based on the results we received for Brulee, she has an intolerance to several food items. We haven't had the opportunity to check all of her food for the ingredients yet, but that is our next step. We do know some of the food she will eat contains pumpkin and peas (Level 3). We're not sure about the additives yet. Some of the food she's eaten contains lamb and carrots and we'll not feed her much of this food. A lot of the foods listed are never fed to us, but it's nice to have the list. We found it very interesting that she has a Level 2 reaction to house dust, which is the same thing Mom Paula is allergic to. Sometimes, when we are in the home office where there is a lot of dust because of the papers and boxes, both Brulee and Mom Paula will sneeze. This is definitely an incentive for Mom Paula to purge the home office so it's more health friendly for all of us. Bandit has terrible skin problems. Bandit is a Shih Tzu mix (based on DNA testing) and they are known to have skin issues. The vets have never recommended allergy testing for Bandit despite constantly going to them for outbreaks, especially on his paws. Bandit scratches and bites so much at times, that he gets an infections. We were very interested to see what environmental and food items caused a reaction in his body. Some of the items listed as Level 3 that Bandit eats are turkey, potatoes, beef, and beans. The vet recently told my parents that Bandit needed to go on a diet, so my parents are reluctantly discontinuing feeding him their table scraps. He also had a intolerance at Level 2 with pumpkin and egg yolk. Bandit is on a prescription diet because of his digestive issues. We definitely need to check the labels on his food to see if any of these ingredients are included. Bandit definitely has an intolerance to several environmental items that are located in my parents' yard, especially the trees. We need to investigate ways to help him have less of a reaction when he's been outside. 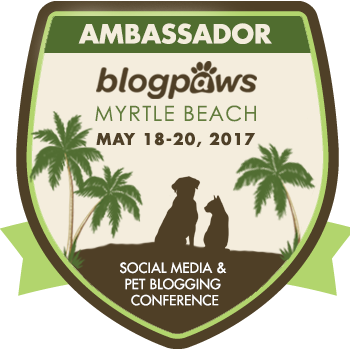 We've read where many of our dog blogging friends will wipe down their dog's feet after they've been outside. Affordable Pet Testing is one of the nation’s leading hair analysis companies. 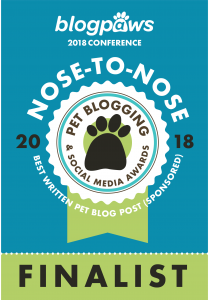 They are leading the field on consumer driven health and lifestyle choices by empowering pet parents as they search for answers for their pets who are suffering. Their labs are located in the U.S., which allows them to provide quick and affordable findings to food and environmental intolerances. We encourage you to visit their website to find out more information about the Pet Intolerance Tests available. They currently have tests for dogs, cats, and horses. You can follow Affordable Pet Testing on Facebook, Twitter, and Instagram. We are very pleased with the ease of testing, the quick response, and the valuable information provided with the Pet Intolerance Test. This gives us a starting point to begin removing certain food items from our diet and also helps provide information on what environmental items cause problems. 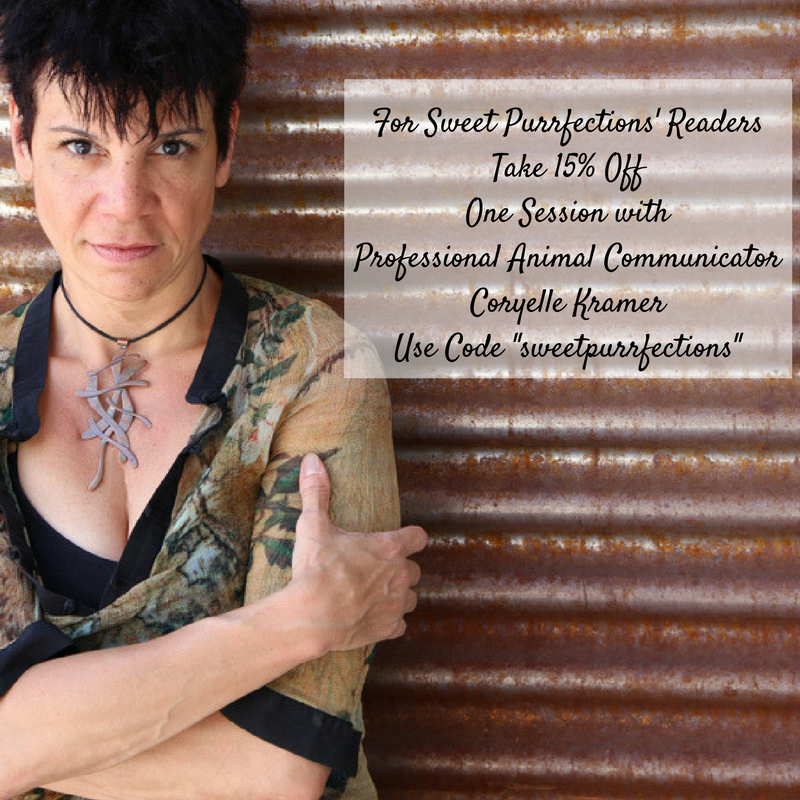 Note: Blogger discontinued Open ID, so if you need to comment using Anonymous, please leave your name in your comment. Wow, this sounds really interesting! My human wishes we had had this for Sparkle. She definitely had some allergy issues. Wow this is really cool. You can immediately start taking action to remove allergens from your pet's diet. I love it, and its not the nightmare I imagined testing might be! I'm in the process of finding some sensitivity tests for myself as well! Jack would definitely benefit. When we first adopted him he scratched a lot so we went grain free which helped, however the vet believes he has environmental or seasonal allergies but we never discussed testing. I had him on Apoquel a few times but I don't love the idea. Last night he chewed one spot until it was raw so he's back on it along with Colloidal Silver Spray. Seems like this test would give us the answers, and he'd be happy not having to go to the vet to get it done. How interesting - we have an allergic westie and have done both the blood and skin testing at various times. I've just done this with my cat, which I will write about soon. My cat has extreme food allergies so I thought it was a good test of the product. I'm still a bit skeptical I'm going to take my results to my vet to see what she thinks. What an easy and more comfortable way to allergy test our pets! I would be interested in giving this a try on all of my pets. I am impressed with the quickness of receiving the results and the detailed report you received. This is super cool! I like how it's non-invasive and still can detect so many allergens! That is so interesting, we're gonna try that for Sister Zoe! This is so interesting and I would love to get to the bottom of Layla's allergies although they are a lot lot better but if I could eliminate them totally that would be fantastic. I would love to try this on Lola and on my niece's dog. I love that it's so simple and all you have to do is collect some fur. Great review and informational post! Looks like an interesting product! One of my dogs has both food and environmental allergies. It's no fun, but after 9+ years of dealing with him we've got a good management system down. Back in the day we got the really expensive testing done by our vet. I'm always kind of interested to see how these would compare to the tests the vet does, but I've never actually tried using one. For a long time, Bear over-groomed his belly and I suspected it was an allergy. I have a feeling Ellie has a sensitivity as well. I love that this is available - we'd love to try it! This is very interesting. Ernie has had the serum blood test for allergies. One thing he is allergic to is DOGS! Wow! I guess he won't be hanging around with any dogs anytime soon! That is so cool. I would love to get Prancie tested, she has a lot of skin issues. How fascinating! Gracie has asthma; we always wonder if things other than dust are triggers. What a great product! I love that the test uses fur to determine results and no needles, that is so valuable. The results come in a really readable way that's easy to action. 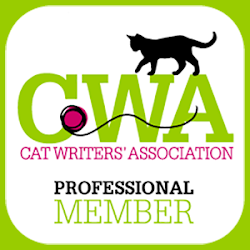 My pets don't have visible allergy symptoms but I will share for my readers who do. Very helpful, thanks. My poor little Nelly has terrible allergies. She scratches herself and will sometimes chew herself until she bleeds. The vet has had to put her on steroids in the past, it is really sad. Oh wow, I should do this for Plush, he's in a stage to chew all the fur off his paws. He's always been sensitive. I attributed it to stress over the kittens, but it could definitely be environmental stuff too. I wonder if it tests for grooming stuff? Or stuff like laundry soap. I was thinking maybe it could be that I changed what I used to wash my bedding with. I switched litter also. I still blame the kittens though. This is really cool to know. Right now I feel like we have our Siamese allergies under control by giving him lysine and using an air clearner, but if he ever seems to get worse I will check this out! I think people forget that their pets can have allergies too. i know that sometimes, they itch when i feed them chicken. my youngest likes to like her paws a lot, she gets an allergy shot, the vet does not what causes it, so this test would be great to have. she also gets mucus in 1 nostril. which cleared up with the allergy shot as well. I sneeze every time I wash myself. TW jokes that I'm allergic to cats but I think it's cos of dust in my furz. She's not the best duster in the world. We'd love the try this. BTW, what will you feed Brulee since those ingredients are in practically ALL cat food especially the vitamin E. Also, how can she be Level 3 allergic to pumpkin when she eats it all the time without diarrhea, etc? I'm a curious cat. We'll be honest - we haven't checked all of our food labels yet. 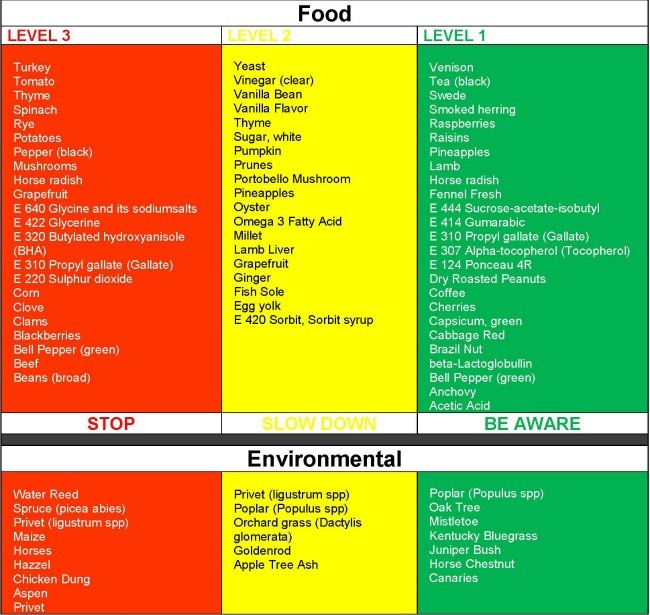 The levels are based on an intolerance to food and environmental items. She's only truly reacted to food one time and it had fish in it. 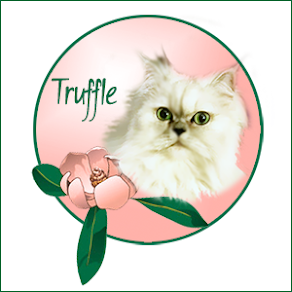 Truffle will sometimes appear to have indigestion, so I'd love to have her checked out. This sounds very interesting. Never heard of such a thing before. I'd love this to test Mango!!! 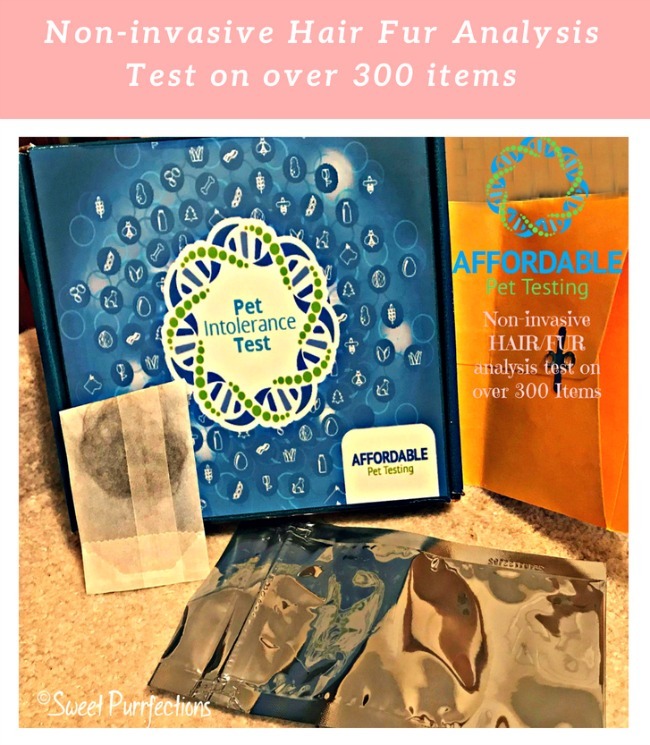 Interesting to see your results, I didn't realize there was such an affordable and easy allergy test out there for pets. Cow, our dog, has experienced red, itchy skin and hair loss on a chicken and turkey kibble, and improved on a raw diet with no chicken. She's still a little itchy sometimes, though, so there may be other allergens too. Generally not a fan of random testing looking for problems. But allergies and sensitivities--I definitely see how this can be really helpful. Ooops, hit return too fast. Anyway, my sister's cat gets an upset stomach sometimes. It seems to be food related. So they struggle to figure out what's going on . I was thinking that they would really benefit from this kind of testing. I know that my dog has allergies because of the reactions he has to pollen and the change of seasons.He occasionally gets hives also. He does take benedryl daily. I would really love to see a breakdown as concise as this test provides. We have used elimination diet to figure out a lot of his triggers but it is time consuming. This would be awesome! This would be perfect for Blue! He is so itchy all the time (no fleas, ticks, or other pests)! He’s been eating the same puppy food since day one. I would love to find out why he is itchy and help him out! Nothing really. But I would be curious to see what could cause issues for my cats. How interesting. 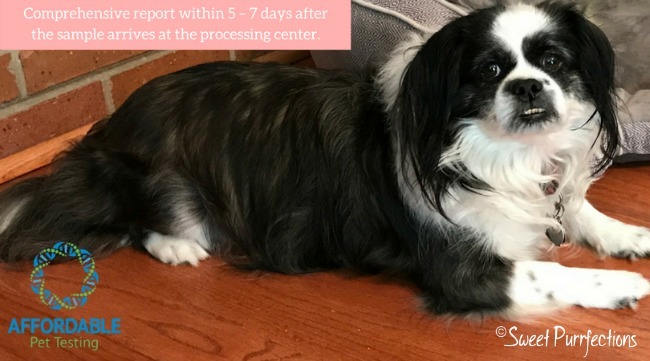 We used fur analysis for other purposes, such as evaluation of nutritional status, evaluation of thyroid and adrenal function, things like that. Never heard of this being used to identify allergies. I have to check it out. My one cat gets crusty ears occasionally and I have to clean them and my one dog sometimes gets really itchy skin and has to be bathed and given Benadryl. This is phenomenal! So interesting and helpful. Two of my Huskies get itchy ears and prone to infections and two get hot spots...this would be very helpful to determine what is triggering it all. Thanks for hosting the giveaway too. Hope Brulée continues to feel well and both of your beautiful babies stay healthy! For the second late summer in a row, our Lab mix Luke is obsessively licking the fronts of his legs and other areas. I was convinced last fall that he had some type of seasonal allergy, since we cut out some foods we thought might be the issue. But still I don't know for sure. I'd love to know what is bothering him; I think it might be some kind of pollen that is out from now through early fall. Thank you for the opportunity to find out! Bentley itches and licks. Pierre vomits. I'd love to know the root cause of their problems! What a brilliant test! We would love to know what our Clementine is allergic to that makes her ill! This is awesome! Sophie would definitely benefit from this. She's on a limited ingredient diet. She's had tummy issues, hot spots on her skin and ear infections. It would be great to nail down what's truly causing it. 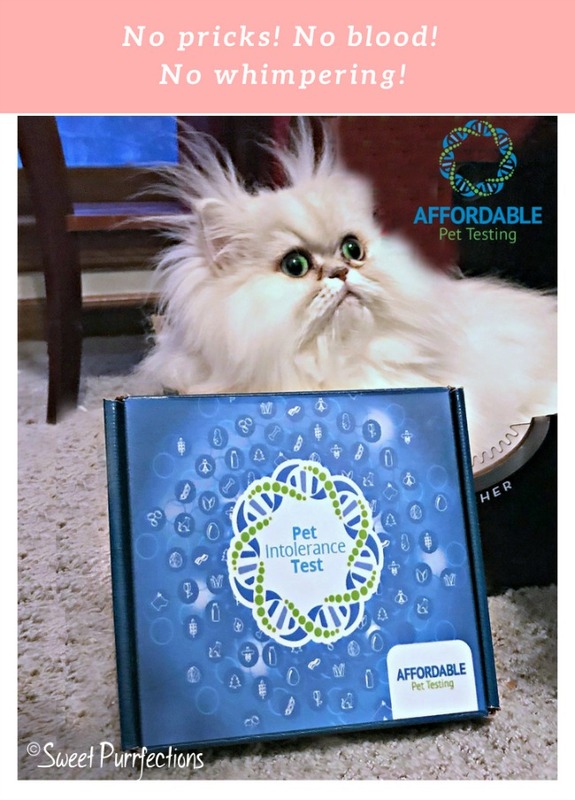 The Affordable Pet Testing "Pet Tolerance Test" seems like an easy and cost-effective solution for pet parents! 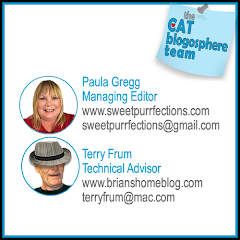 I suspect one of our cats and one o our dos suer from allergies that present as skin irritation. I'd love to win and, um, test this test out for myself! What a great review. Seems like such a simple cost-effective way to see if removing the red and maybe yellow help. My kids have lots of food intolerances and had to remove gluten and dairy and other things. I have environmental to dust and certain dander and pollen. Kilo the Pug so far so good. No issues yet but he too is a flat faced breed so I worry about any sneezes or breathing difficulties..
My dog has a very sensitive tummy. That one said that he may be sensitive to gluten. But she never perform the task so I would love to know for sure. The V-E-T gave me an allergy test a few years ago putting a swab in my mouth. The test said I'm allergic to several foods, so Mom makes sure she doesn't feed me those purr-ticular foods. I've been given shots to calm cold-like symptoms from "herpes virus" flair ups. Mom thinks I've been coughing more lately. Thanks for telling us about the test, 'cause Mom thinks she might try it with me to see if it identifies something in the house I might be allergic to. I hope Brûlée and Bandit start to get some relief from their allergies, 'cause allergies are no fun! Winky winks. My cats itch a lot. The reactions that my pet has that leads me to believe she has an intolerance to food or environmental items would be spitting up.